Planning on changing my stock muffler to possibly a Magnaflow? I like deep sounding exhaust. So my question is, will I lose any performance by removing the resonator and the flapper valve? My brother has a 18' 5.3 and when he added his muffler you couldn't hear the damn the thing until he did a resonator and flapper delete. Thanks for the input and comments reguarding my truck guys! the reason I ask is as if it seemed like on-star was a “big brother” and they use that to track your logging info, location, mileage ECT. I simply just wouldn’t feel comfortable with that! 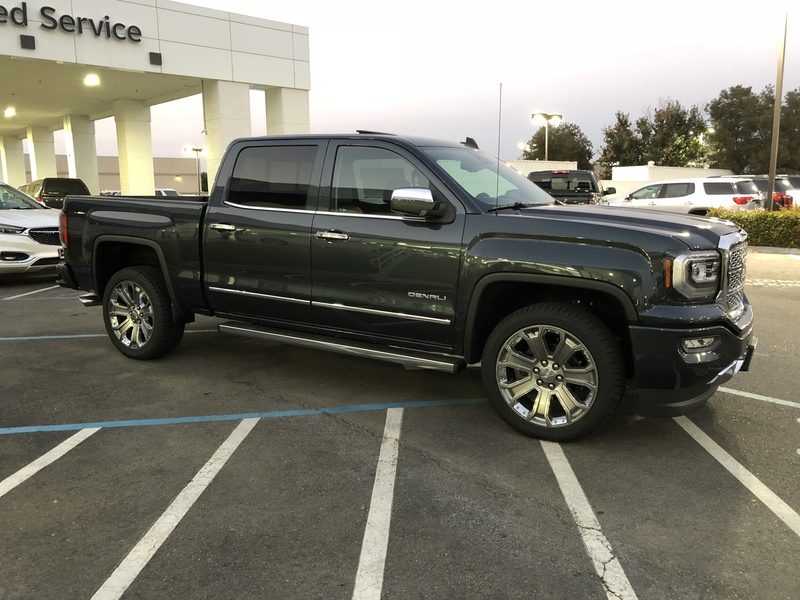 Hey guys I just purchased a 18’ Sierra Denali last night and after all was said and done, the salesman was nice enough to show me how some of the options in the interior work. Although, he was being extremely persistent on setting up the ON-Star for the trail. While in the car he tried calling 3 times and for some odd reason on-star was not answering. I specifically told him “this is somthing I’ll never use sir, it’s taking pretty long and getting pretty late and on star isn’t even answering.” So he said “would you please please please call them tomorrow and set it up yourself”. So it has me thinking what’s the big deal about activating On-Star and being so persistent about it? Hi everyone I still have my Tahoe but my 2002 Chevy Silverado 1500 pickup 4.8l is currently undrivable! So my truck has 157k miles and was running extremely well until a I tried starting her up last week and it was fielding really low and stalled. After around 3 tried it finally stood started. While driving I noticed a big loss in power and when in WOT it only goes up to around 2500rpm and won't accelerate and I hear a popping noise. But if I slowly accelerate it can go up to any speed I won't. NOW.... a few days later it won't even stay started at all. It stays started for a few seconds and just idles really low and rough and just stalls, every time I try starting it. I tried cleaning the MAF sensor and that didn't help at all. And of course there are check engine light codes. And here's the list of them P0174 (fuel trim system lean - Bank 2) P0171 (fuel trim system lean - bank 1) P0137 (HO2S-12 - Bank 1 Sensor 2 - Circuit Low Imput) P0300 (multiple cylinder misfire detected) If anyone has any experience or help to offer it will be highly appreciated!